Copano Blues are easy to prepare and delicious. 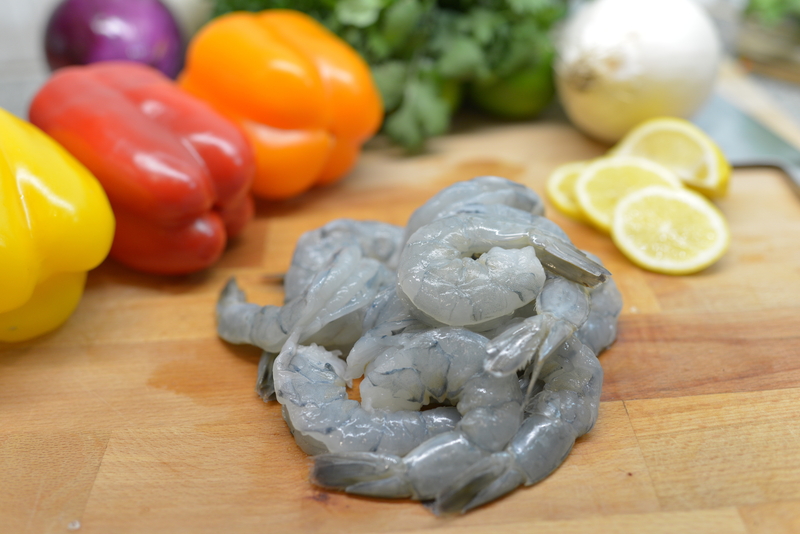 Individual Quick Frozen (IQF) shrimp can be thawed overnight in the fridge or under cold running water in a few minutes. Deveining Copano Blues shrimp is optional. The shrimp are taken off feed a few hours before harvest which cleans out the vein. Even colossal size (U-15ct) Copano Blues will have little or no vein. Peel the shrimp. 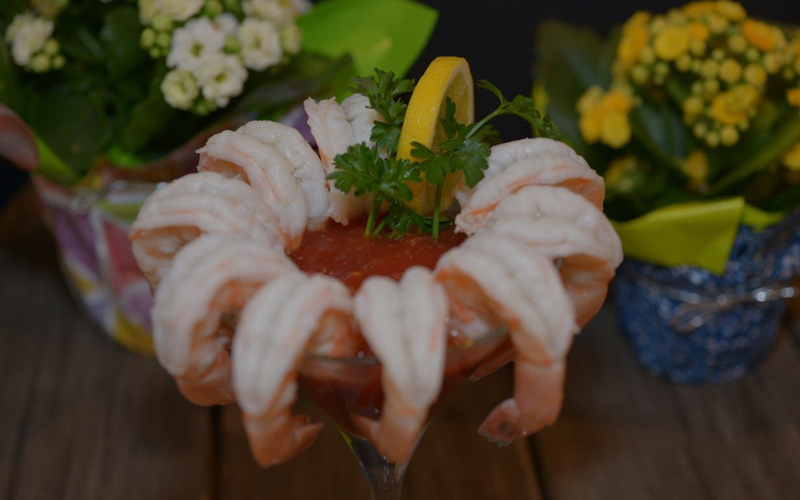 Serve 1-2 shrimp per person as an appetizer. Serve cool or room temperature with soy sauce, wasabi, or wasabi mayo. The sweet flavor and buttery texture are enhanced when eaten raw. Peel the shrimp, removing all 6 segments and the tail. In a skillet, heat canola oil over medium high heat. Add a pinch of coarse ground salt. Add shrimp. Sear shrimp for 1 minute on each side. The shrimp may be slightly clear on the inside, but it is OK. Undercooking just a little helps brings out the sweet clean flavor. Serves 2 people as a main course. Serves 4-6 people as an app. 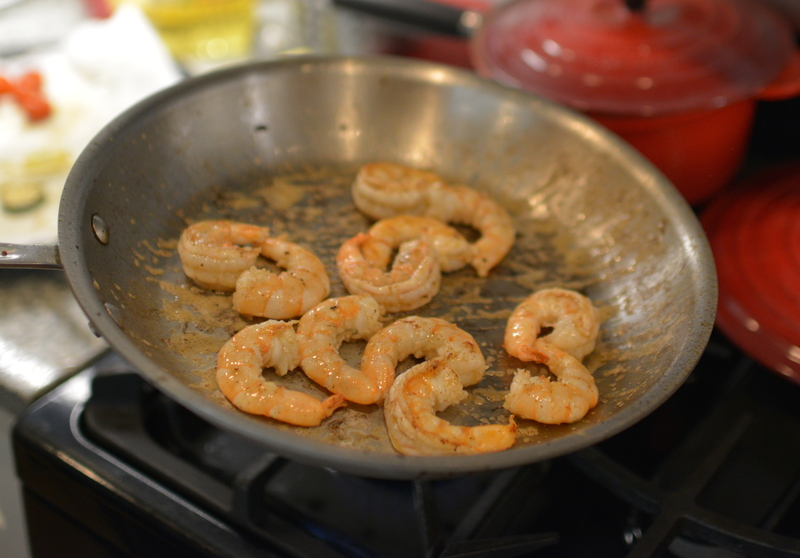 Using any cooking method, shrimp are done when the shrimp curls to a “C” shape. An “O” shape means the shrimp is overcooked. 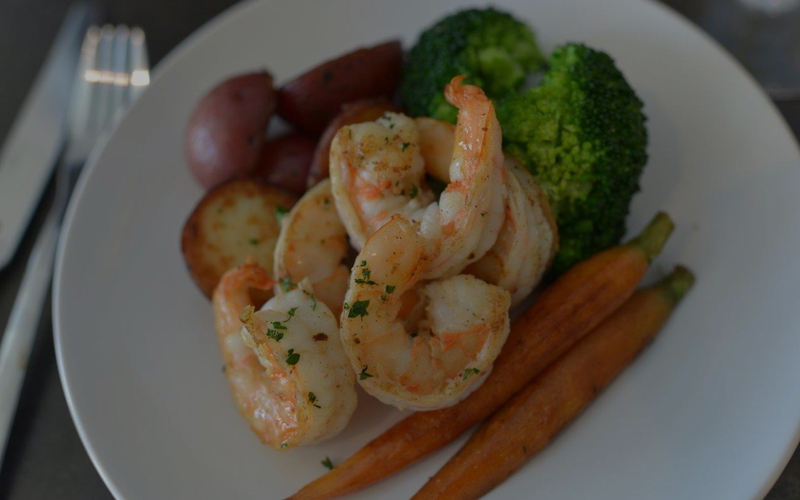 Overcooked shrimp are smaller, tough, dry, less flavorful, with fewer nutrients. Peel shrimp leaving the last segment and tail intact. Boil 1 quart of water, salt optional. Add peeled shrimp to boiling water. Cook for 2-3 minutes until the shrimp curl to a C shape. Remove shrimp and plunge into ice water or run under cold running water for 20 seconds to stop the cooking process. Serve 2-3 shrimp per person as an app, or 8 oz per person for a main course. 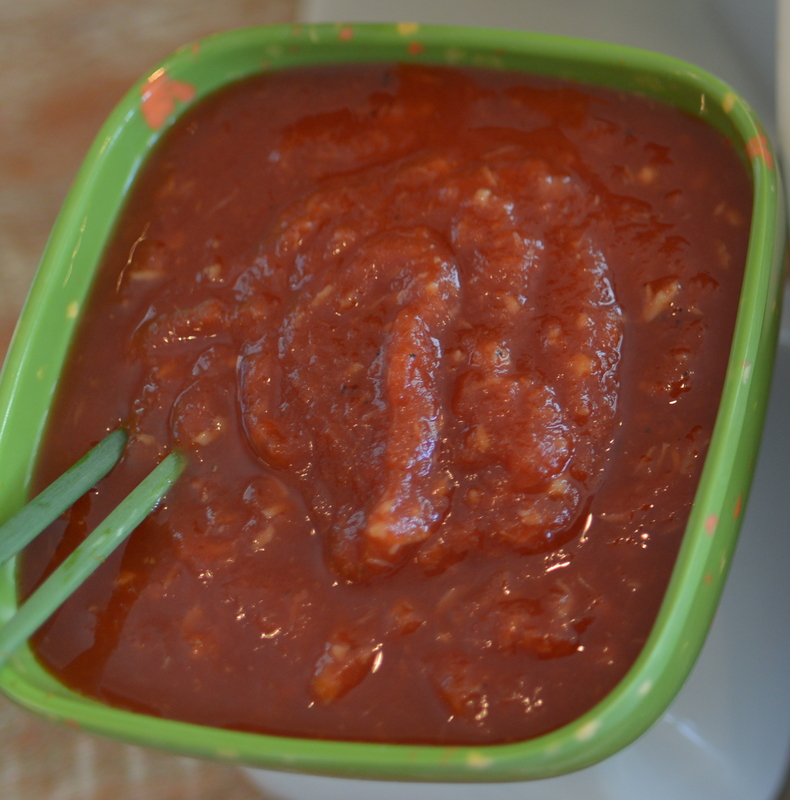 Combine ingredients for a zippy traditional cocktail sauce. Add or remove a little horseradish to increase or decrease the heat.